On August 24th 1875 Matthew Webb dived off Admiralty Pier in Dover and began his attempt to become the first person to swim the English Channel unaided. Twenty one hours and forty five minutes later he waded triumphantly ashore at Calais, an extraordinary achievement which brought him lasting acclaim at home and abroad. Born in Dawley, Matthew Webb was one of fourteen children. When he was still young, the family moved to Coalbrookdale near the River Severn, and it was here that he acquired the skills of a strong and proficient swimmer. He embarked upon a maritime career from the early age of twelve, and for fourteen years progressed through the ranks, eventually becoming Master with the Cunard Line. In 1874 he decided to become a professional endurance swimmer. On 24th July 1883 Captain Webb was rowed out by a small ferryboat below Niagara Falls in order to swim across the rapids for ‘fortune and imperishable fame’. He dived overboard and at first all went well but he was caught by a huge wave, and subsequently dragged down by the whirlpool. His body was recovered downstream four days later, a large gash to his head. 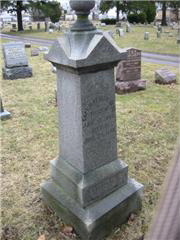 He was buried in Oakwood Cemetery near Niagara. In 1909, more than twenty five years after his death, a memorial to Matthew Webb was erected in his home town and another designated as the National Memorial at Dover. The drinking fountain positioned at the bottom of the High Street in Dawley, restored in its centenary year, is a simple commemoration to a remarkable man born just a few metres away, one of Dawley’s most illustrious sons.